Holy Fire Karuna Reiki ® Class is a three day Master level class. Karuna is a Sanskrit word used in Hinduism and Buddhism. It is translated to mean any action that is taken to diminish the suffering of others and could also be translated as “compassionate action.” When individuals experience enlightenment, they report that all beings are known as one. Therefore, it is natural to extend compassionate action or Karuna to everyone without distinction because we are all one. As we help others and aid them in the healing process, all beings benefit. Because of the oneness of all beings, it is understood that Karuna is not only extended to others out of love, but also because it is an entirely logical thing to do. In the same way that you would want to heal your own wounds, you would also want the wounds of others to heal. It is also stated in the Buddhist literature that Karuna must be accompanied by parjna or wisdom in order to have the right effect. The Holy Fire Karuna Reiki® class is for anyone who has had Reiki Master training. It is complete with two levels, practitioner and master Ignitions, two master symbols and eight treatment symbols. Know Thyself Healing Center has been practicing Karuna Reiki® since 2006 when Reiki Master, Diana Charles, took the training from The International Center for Reiki Training (ICRT). The ICRT experimented with and taught this system for many years and found it to be most effective and powerful. In fact, most students find it more powerful than Usui Reiki! The energy has a more definite feeling to it. It works on the emotional and spiritual levels and also can help one become more grounded. Those who receive the Ignitions (previously attunements) report experiences with their guides, angels, and higher self and feel the healing presence of other enlightened beings. As of 2016, this class is infused with the higher vibration and consciousness of Holy Fire II, which purifies, heals, empowers and guides us to fulfill our unlimited spiritual potential. First – prepares the client for deep healing and is useful with past life issues. It helps release karma and deeply seated issues on the cellular level. Second – heals deeply and can be used to break up the negative patterns we unconsciously use to insulate ourselves from the truth, thus shattering delusion and denial. It heals the shadow self. Third – fills the person with love and restores balance. Fourth – completes the treatment by bringing the client back into the body and grounding. The four Karuna II symbols are of a higher vibration and more powerful. They help connect directly with the Higher Self and work on a deeper level. While they have specific purposes discussed in class, the experience of their energy allows intuitive guidance in their use. Both levels of Karuna Reiki® and Master Ignitions will be given as well as instruction and practice on the use of all twelve symbols. You will be able to practice all four levels of Karuna Reiki®, two practitioner levels and two master levels after taking this class. Lots of practice time is included for giving treatments, using the symbols and for learning the Placement and Ignition processes. We will also be using chanting and toning infused with the power of Karuna Reiki®. A certificate and class manual are included with in depth descriptions of each symbol and each attunement process. Cost: $875.00, with a $275.00 deposit. 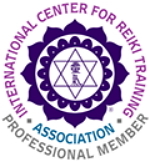 Karuna Reiki® is a trademarked system founded and developed by William Lee Rand of the International Center for Reiki Training (ICRT). As a Registered Holy Fire II Karuna Reiki® Master with the ICRT, I offer Holy Fire II Karuna Reiki® classes using ICRT manuals. My students will receive their Holy Fire II Karuna Reiki® certification through the ICRT. Accepting Reiki Masters only. If you have specific questions about Reiki or about a Reiki class, contact Diana directly. She welcomes your questions and looks forward to helping you grow through Reiki training and initiations. Reiki I/II Classes ART/Master Classes Karuna Reiki© Classes Please note that Know Thyself Healing Center’s classes are kept relatively small, for an intimate hands-on approach to teaching this healing art. Nonetheless, a class that has not filled its minimal number of registrants within 3 weeks of the class may be canceled. So it is important that you register early both to ensure that the class will be held and that you will have a seat in it.